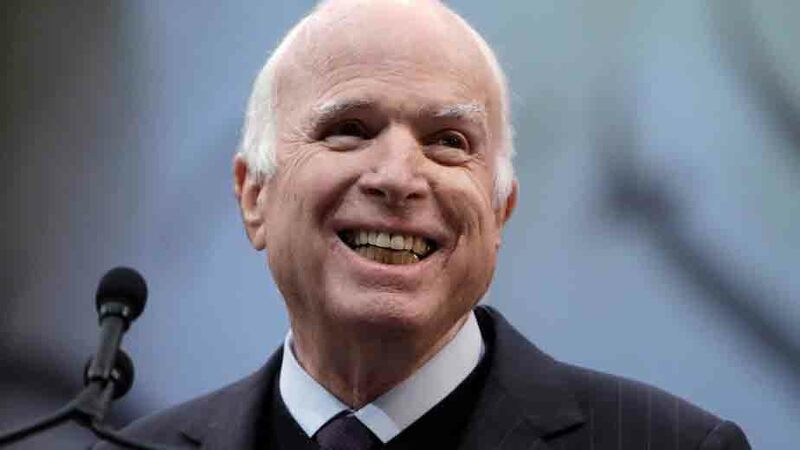 Washington - American Senator John McCain has passed away. He was 81 years old. He was suffering from brain cancer for the past one year. Last day, his family decided to not go for their cancer treatment. John McCain was known as' Major 'or Rebel' due to his fierce standpoint in American politics. By becoming a member of the Republican Party, he continued to express his disagreement with his party's policies. He was the presidential candidate of President Barack Obama's anti-Republican party in the presidential election of the year 2000. Despite having been an American admiral son, he spent five years in Vietnam as a US military prisoner and was a very active member of US House Exhibitors in the past twenty-five years political trips. He was not present in Washington since December last year. In the last days of his life, he spent his time in Arizona in his house. But despite this, he used to express his thoughts and opinions openly on some of the policies of Donald trump.